Public broadcasters are asking the FCC to retain existing eligibility requirements for Educational Broadband Service licenses and to maintain the service as an educational resource. “EBS should not be commercialized,” the public broadcasters said during separate meetings March 7 with Commissioner Michael O’Rielly and an aide to FCC Chairman Ajit Pai, according to disclosure forms filed with the agency. Some broadcasters, including about 50 institutions affiliated with pubcasters, use EBS spectrum to transmit educational information and other data. Vegas PBS, for example, uses EBS to deliver instructional content on six digital channels to 320,000 students in local schools. Under existing FCC rules, EBS licenses are restricted to educational organizations and institutions. Licensees can lease up to 95 percent of their spectrum to commercial users. The FCC requires the remaining 5 percent to be set aside for educational purposes. 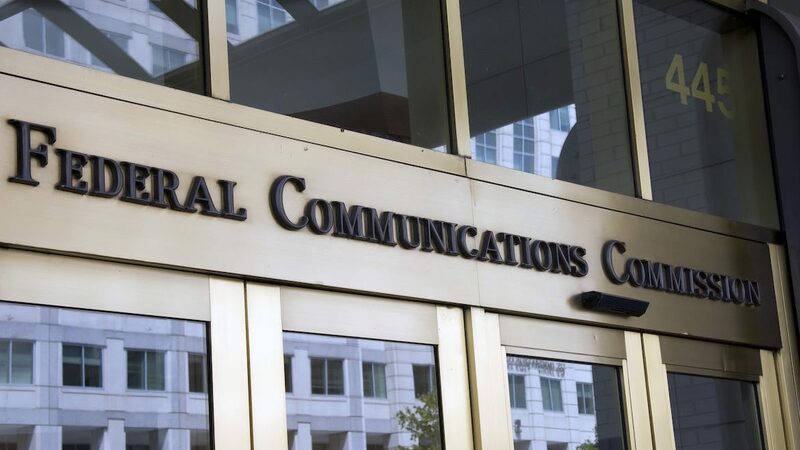 But the FCC is considering changes that would allow EBS licensees to sell their spectrum to commercial users, which could then use the spectrum without restrictions. In the FCC meetings, representatives from America’s Public Television Stations told FCC officials that the change could create a “hostile leasing environment” for educators who wish to remain EBS licensees. They said that “commercial entities will have the incentive and ability to offer licensees unfavorable sale terms rather than new or renewed leases, cutting off educational benefits under the leasing model,” according to the lobbying disclosure document. Some public broadcasters are receiving significant revenue from leasing spectrum to Sprint. The company is using some EBS spectrum for cellular services and holding the rest in reserve for 5G, an enhanced wireless technology that it’s planning to roll out, said Benjamin Lambiotte, an attorney with Garvey Schubert Barer. South Carolina ETV receives $3.4 million annually from leasing 95 percent of its EBS spectrum, according to a spokesperson. Vegas PBS leases 92 percent of its EBS spectrum to Sprint under a 30-year deal, said GM Tom Axtell. It received $1.1 million for FY2019. Under the deal, which is in its tenth year, Sprint increases its payments by 3 percent annually and provides an additional $120,000 annually in telephones and other services the pubcaster uses for education, Axtell said. “The shared use of EBS by educators and mobile companies has important public benefits for education, and we want to keep it that way,” Axtell said. Todd Gray, a lawyer with Gray Miller Persh LLP who represented pubcasters in the meetings with the FCC, estimates that “90 percent or more” of 47 public TV stations with EBS licenses identified in the FCC disclosure document have leased their excess capacity to Sprint. During the meetings, public TV representatives also urged the FCC to prioritize awarding unlicensed EBS spectrum to tribal nations and educational entities, including public broadcasters. One approach the FCC is considering would open a series of new windows to allocate unlicensed spectrum, with the first window reserved for existing licensees to expand coverage to their county lines. The second window would be for Native American tribes to serve rural tribal areas. A third window would be for accredited schools that currently don’t have EBS licenses. Public TV representatives have asked in filings that the third window include public TV stations. “We stated that public television stations are significant and innovative EBS licensees and have a strong interest in preserving EBS as an educational resource,” the disclosure document says. Gray and Lonna Thompson, APTS EVP, represented public broadcasters in person during the FCC sessions. Joining by phone were representatives of three stations whose licensees hold EBS licenses: Axtell; Anthony Padgett, CEO of the South Carolina Educational Television Commission; and Georgeann Herbert, director of content and community engagement at Detroit Public Television. Gray told Current that he was “hopeful” that the FCC would vote on the EBS proposal by the end of June. Some 50 public broadcasters hold licenses to use spectrum in the 2.5 GHz band for educational services and other purposes.